What are the various types of knee ligament injuries? The knee is a hinge joint that connects four main bones: the femur (thigh bone), the tibia and fibula (shinbones), and the patella (kneecap). The ends of the tibia and femur, as well as the posterior of the patella, are covered in tough connective tissue known as articular cartilage. This provides a smooth gliding surface that reduces friction between the bones of the knee joint, and facilitates smooth movement. The knee also has two C-shaped, rubbery pads of cartilage tissue covering the top of the tibia that are known as the medial and lateral menisci. The menisci serve as shock absorbers for the impact of the upper and lower knee. The knee has four ligaments that stabilize and support the knee in different positions. Each of the knee ligaments serves a particular function. Medial Collateral Ligament (MCL): the MCL runs between the femur and the tibia on the inner side of the knee. This limits the lateral (side to side) movement of the knee joint, and is most commonly injured from force that hits the outer side of the knee. Lateral Collateral Ligament (LCL): the LCL runs between the femur and the fibula on the outer side of the knee. Similar to the MCL, the LCL also stabilizes the knee against lateral movement. It is most commonly injured from force that hits the inner side of the knee. 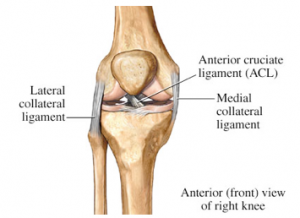 Anterior Cruciate Ligament (ACL): the ACL is inside the knee joint, and runs diagonally across the knee to connect the anterior portion of the tibia to the posterior of the femur. It controls the backward and forward movements of the knee, and prevents the tibia from moving in front of the femur. Posterior Cruciate Ligament (PCL): the PCL is also inside the knee joint, and runs diagonally across the knee to connect the posterior of the tibia to the anterior portion of the femur. Similar to the ACL, the PCL controls the backwards and forward movements of the knee. Each of the ligaments is at risk for injury, particularly following sudden movement or impact to the knee. This can occur following falls, an awkward landing, or even from an outside force, such as tackling. 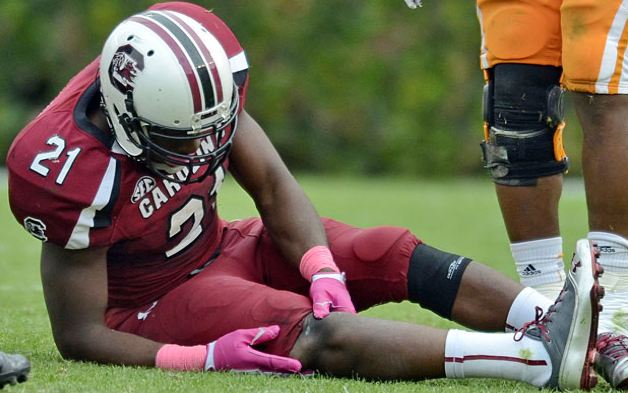 Injuries to the knee ligaments are more common among athletes and other people in high-risk professions and sports. Grade 1 Sprain: The ligament is mildly damaged due to slight stretching, but is still capable of maintaining stability of the knee joint. Grade 2 Sprain: This is more commonly known as a partial tear of the ligament. This injury is characterized by the ligament being stretched to the point of looseness. The stability of the knee is compromised. Grade 3 Sprain: This refers to a complete tear of the ligament. In this injury, the ligament is completely separated into two pieces, and the knee joint becomes unstable. Treatment for knee ligament injuries is typically nonoperative for Grade 1 and 2 sprains. Options include bracing, physical therapy, pain medications, NSAIDS and injections. Injections at a Las Vegas pain management clinic may consist of cortisone, platelet rich plasma therapy or stem cell injections. 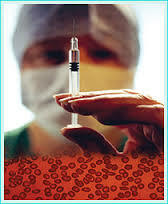 The regenerative medicine injections may help with faster and more complete healing. The top Las Vegas pain management clinics are Nevada Pain. With multiple pain center locations in the greater Las Vegas and Henderson areas, treatment is readily available. Over 50 insurances are accepted. 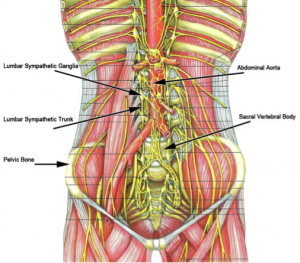 The autonomic nervous system handles a lot of bodily functions and involuntary processes. The autonomic nervous system can be further grouped into the sympathetic and parasympathetic nervous systems: these nerves control involuntary body functions, such as heart rate, blood pressure, digestion, sweating, and others. The trunks of the sympathetic nerves are grouped and found along the ventral (front) side of the spinal column. A lumbar sympathetic block is typically done for both diagnostic and therapeutic reasons. This allows the Las Vegas pain management doctor to identify the source of persistent pain, and at the same time, relieves conditions that cause excessive stimulation of the sympathetic nerve. The procedure is indicated for conditions that cause excessive stimulation of the sympathetic nervous system. These include, among others, Complex Regional Pain Syndrome (or Reflex Sympathetic Dystrophy), diseases such as herpes zoster (or shingles), neuropathies, and peripheral vascular disease. Chronic pain has also been shown to respond to sympathetic blocks. The procedure can be doneon an outpatient basis. (It does not require inpatient admission.) It is a well-tolerated and quick procedure. While the time varies based on the particular circumstances of the case and the experience of the pain management doctor in Las Vegas, it can typically take less than 30 to 45 minutes. The patient is kept under observation in the recovery room for 20 to 30 minutes, and if no untoward symptoms are observed, the physician can send the patient home within the day. Lumbar sympathetic nerve blocks are carried out under local anesthesia, although a mild sedative can be given to the patient to calm him or her down. The procedure requires a sterile technique, and can be done in procedure room. Prior to the start of the procedure, the procedure site is prepped with an antiseptic solution, such as chlorhexidine or povidone iodine, and the surrounding area is draped with sterile linen. The procedure begins with the insertion of the needle in the injection site. This is typically done under fluoroscopic (X-ray) guidance, although other guiding modalities have been used in recent years, such as computerized tomography (CT), and ultrasonography to provide guidance of the needle. The needle continues through muscle and tissue until the target area is reached, as confirmed by imaging. 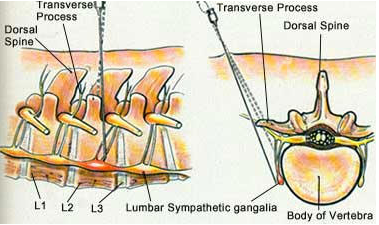 A local anesthetic is then injected into the area around the lumbar sympathetic plexus. If the block is successful, immediate signs of relief from the sympathetic overstimulation will be observed. This can manifest as less reddening, an increase in temperature, or relief of pain. Once success is confirmed, the Las Vegas pain doctor will withdraw the needle, or complete other nerve blocks as necessary. Lumbar sympathetic blocks are known to have generally good outcomes, and most patients will report a successful resolution of symptoms. Adverse outcomes (pain and bruising at the injection site) are rare. When they arise, these can easily be managed with medications. Similar to any invasive procedure, there is risk for infection at the surgical site, and intraoperative damage to the surrounding nerves, muscles and tissues. The top pain management clinic in Las Vegas and Henderson is Nevada Pain. 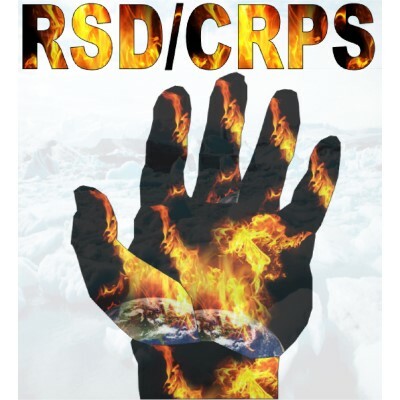 The pain management doctors are Board Certified, Fellowship Trained and highly experienced in the management of RSD, CRPS, shingles and all types of chronic pain. Over 50 insurances are accepted at the pain clinics in Las Vegas and Henderson, call (702) 323-0553 for more information and scheduling with pain management Las Vegas trusts! Kyphoplasty is a procedure for the treatment of spinal compression fractures. It is a minimally invasive procedure recommended if other conservative measures have already failed. The procedure at a Las Vegas pain management clinic utilizes the injection of bone cement into the fracture site, which hardens and stabilizes the damaged vertebra within 20 minutes. Medical-grade bone cement is used to repair fractured or compressed vertebrae. This is usually inserted with the guidance of a fluoroscope (which uses X-rays) into the affected vertebra. 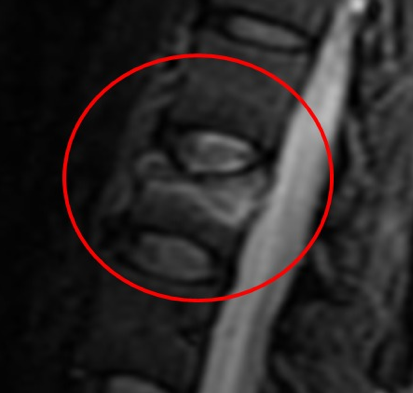 Spinal compression fractures are marked by the loss of vertebral height. Kyphoplasty addresses this with the injection of an inflatable balloon tamp into the affected vertebral body. 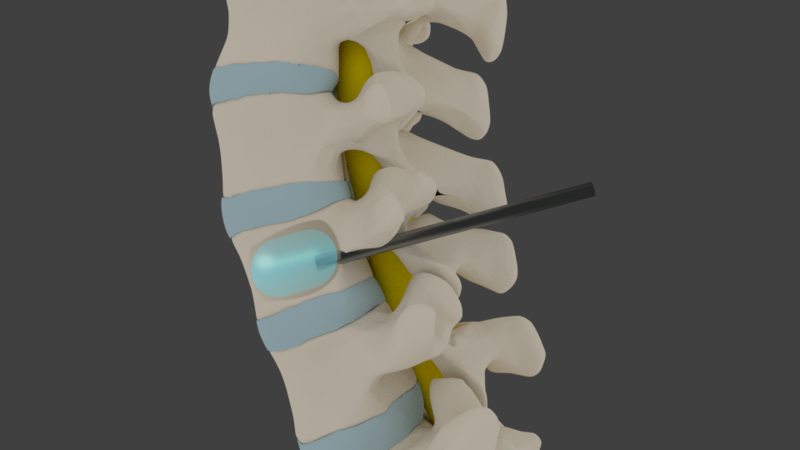 Saline is pumped into the balloon, and the balloon expands to increase the height of the vertebral body and increase the space available for the bone cement. After the appropriate correction of vertebral height, bone cement is injected to fill the space. 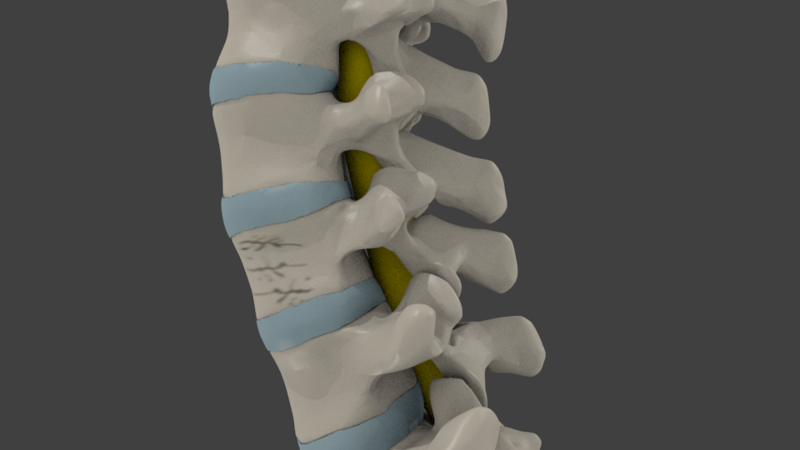 When the bone cement hardens, it provides structural support and stabilization to the broken vertebra. The fragments are fused into a continuous piece, which addresses the irritation and inflammation caused by broken pieces rubbing against each other, and against nerves and other surrounding soft tissues. The polymerization process (hardening of the bone cement) releases heat, which contributes to the relief of pain symptoms. Kyphoplasty has also been shown to help prevent further injury. The procedure may requires inpatient admission to the hospital, but more and more it’s being done as an outpatient. It is carried out under general anesthesia or IV sedation. After the procedure is completed, a recovery period is recommended to observe the patient and see the progress of the healing. While kyphoplasty can resolve the compression fracture pain entirely, some recommend that patients who undergo the procedure also undergo a program of physical therapy and rehabilitation. Some studies have shown that kyphoplasty can readily alleviate pain symptoms in over 85% of patients. Other studies contradict that data, but there are so many in favor of the procedure it’s still widely used. The procedure is well tolerated by most patients, however, it is only recommended after the failure of more conservative options. In the absence of risk factors for failure of non-surgical management, experts recommend that conservative management, such as physical therapy and rehabilitation and bracing, be attempted for at least three weeks before surgical options are recommended. Kyphoplasty carries the general risks of surgery. These include infection of the surgical site, or possible intraoperative damage to muscles, nerves, and other soft tissues. The procedure may fail to resolve the symptoms or cause persistent pain. There is also the risk of adverse effects from leakage or erroneous placement of the bone cement. However, these risks are rare, and choosing an experienced Las Vegas pain management doctor minimizes these risks. Nevada Pain offers the top pain management doctors in Las Vegas and Henderson. The pain doctors are Board Certified and have a combined 30 years of experience of treatment for such conditions as vertebral compression fractures and all types of acute and chronic pain conditions. Over 50 insurance plans are accepted at Nevada Pain, call (702) 323-0553 for more information and scheduling with pain management Las Vegas trusts!